^^^^ yeah it would definitely be hard to get around the bowties on those wheels since they're integrated into the plastic. the 98-99 z34 wheels you could paint over them or get a decal. Yep, it had a lip spoiler! Definitely an International then. And for sure 1 of less than 10. Since something like 600 Internationals were made, most were white or bright red or blue or black with graphite interiors. Hmm...sweet, next time I see it I'll steal it. Or at least get some pictures! Intersting pic to me...gives me an idea what my Bonnie 17's will look like in the spring, at least in terms of size...and unpainted to match the car. My rear stance will be wider though, and I'll be running 235/55R17 which will fill out the wheel wells much better than this jalopy. Those wheels don't look half bad. 92-93 CS International's are very rare. Pretty tough to find. The two Luminas I had were stock with hubcaps. At one point I attempted to fit trim rings and Impala police center caps on it but it brought the fail. Put the hubcaps back on when I got rid of mine, my wife's I never messed with. I see many 1.5gen Luminas with 1st gen Euro wheels on them. Also have seen Lumina Euro wheels on Regals, Grand Prixs, and Grand Ams. Hate seeing that. Some wheels interchange well, some really don't. I wish I had a picture of a car I saw that made me throw up a little in my mouth. I see 1 gen Lumina wheels on everything!! Those look right... Is that an aftermarket grille? Saw a green Bonneville with first gen GP five spokes today. They actually didn't look that out of place. Possibly, but it was stopped and I was doing 40 MPH. I couldn't tell either way from my vantage point. 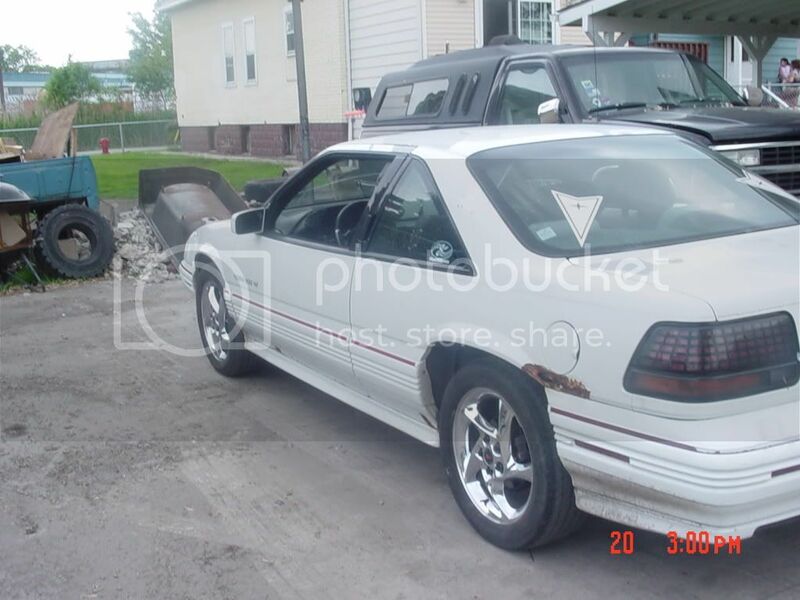 still think its a regal?